Just to the east of Tuscany lies the beautiful region of Umbria, the only region in Italy that does not touch the sea. The landscape in Umbria, particular the wine-producing areas located south of Perugia, Umbria’s capital, is remarkably similar to that of Tuscany, with beautiful gently rolling hills that feature picturesque hill fort towns. 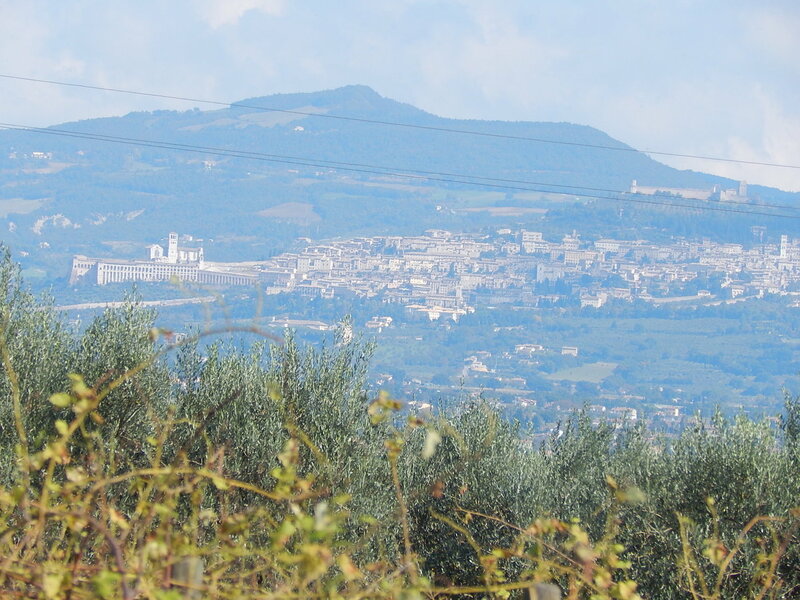 With the exception of Orvieto, it generally lacks the bustle of tourists that can make Tuscany difficult at times. 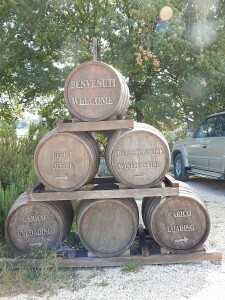 Umbria is a beautiful region well worth visiting, and the wine is very good. The Umbrian town of Assisi. ALL PHOTOS: TERRY DUARTE. Umbrian wines have risen to prominence only in the past sixty plus years, thanks in large part to the efforts of Georgio Lungarotti, who transformed Umbrian winemaking from a household undertaking into a viable commercial success. His winery is responsible for one of the two DOCG (Denominazione di Origine Controllata e Garantita) designations in Umbria. The DOC, DOCG and IGT classifications were created in 1963. Modeled on the French system, they apply to specific geographical areas and specify the type of grapes to be used in the wine, location from which the grapes must come and sometimes the aging time and method of production. DOCG (Denominazione di Origine Controllata e Garantita) is the most restrictive and generally is only approved by the authorities for the “finest” wines. DOC (Denominazione di Origine Controllata) is less restrictive and IGT (Indicazione Geografica Tipica) is the least restrictive category. IGT has come into greater use as winemakers seek to add individual touches to the wines not allowed under DOC or DOCG regulations. An example is the excellent Sicilian winery COS. They make a superb DOCG Cerasuolo di Vittoria, but also offer an identical IGT called Pythos Rosso that is made aged in ceramic jugs buried in the ground. I actually prefer this over the DOCG wine. This is a grape rich in polyphenols that provide deep color and high levels of tannins. The Umbrian producers who bottle 100% Sagrantino assert that it should be viewed in the same class as the Brunello, Vino Nobile and Chianti Classico, but my experience with it causes me to suggest that you cellar it for several years before you drink it. Nevertheless, 100% Sagrantino is a superb wine generally sold at a cost somewhat less than its Tuscan cousins. There are many excellent producers but I like DiFilippo and Caprai. If you are looking for something to drink as soon as you buy it, here is your wine. Rosso di Montifalco, a DOC (Denominazione di Origine Controllata) wine, is a blend that generally has 60-70% locally grown Sangiovese blended with 10-15% Sagantino, with the balance other locally grown reds such as Caniolo or even French varietals. To me this is one of the best value red wines in Italy, ready to drink when purchased yet capable of storage for 3 to 5 years. Again there are many good producers, but I like Scacciadiavoli, Di Filippo and Tabarrini. If price is your concern, try this one. Normally sold as an IGT (Indicazione Geografica Tipica) wine, it can contain a large variety of red grapes. The main one will be Sangiovese and the remainder whatever red grapes the producer has. Actually, this can be a nice wine rated in the mid eighties. There are some very nice white wines produced in Umbria. The best known is Orvieto Classico, a wine that dates back to the Middle Ages. The primary grape is Italy’s white mainstay, Trebbiano, but the percentages vary greatly. The better Orvieto Classicos contain 40-60% Trebbiano with the balance being locally grown Verdello, Grechetto or Chardonnay. The poorer versions have 90% or so of Trebbiano. Good Orvieto Classico is a bargain as it normally sells at a lower price than many white wines. Another white wine that is coming into its own is Grechetto. Possibly related to Greco, this grape may be native to Umbria. It is used in Orvieto Classico in greater proportions, but it makes a very nice white wine on its own. 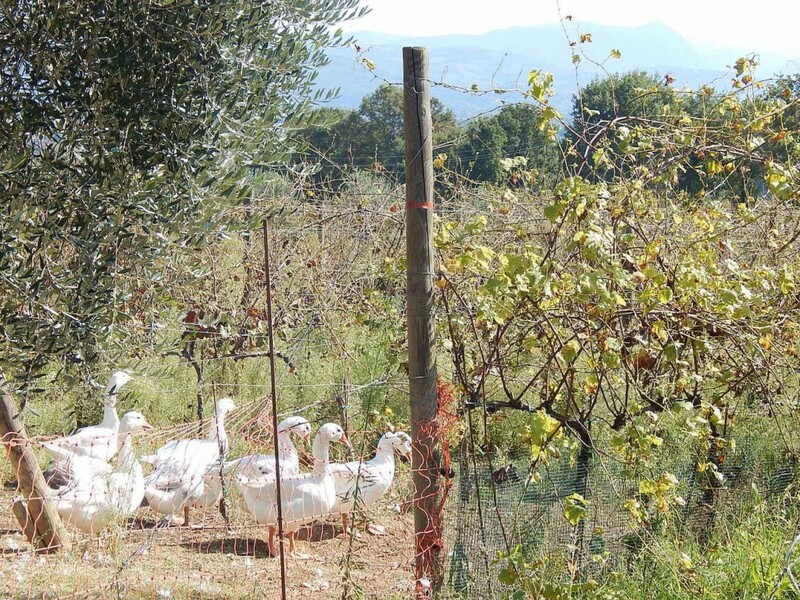 I am very fond of the Grechetto produced in the low hills south of Perugia near the town of Cannara. This wine makes a very nice aperitif or seafood accompaniment (though seafood is rarely seen in most of Umbria). Lungarotti also produces some good white wines from other grapes, all of which are worth trying. If you are interested in learning more about Italy’s regional wines, you might enjoy Vino Italiano: The Regional Wines of Italy, by Joseph Bastianich and David Lynch, available on Amazon.com for under $20.